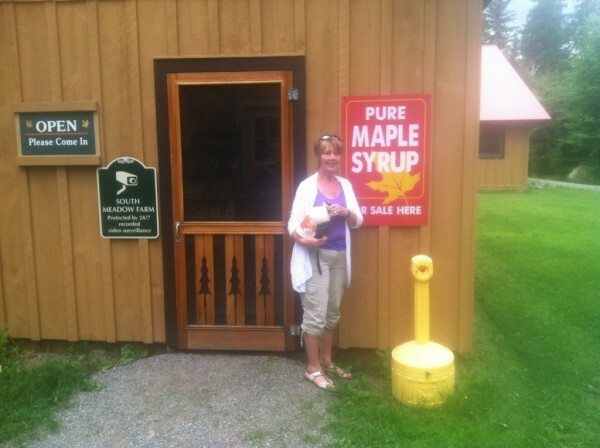 We visited our maple syrup supplier while in the Adirondack Mountains of NY. South Meadow Farms outside of Lake Placid is also a B&B that we have stayed in. They have quite a maple sugarbush and sugar house. We go through 12 to 16 gallons a year of their grade A syrup! Here is Dianne outside their serve-yourself store where we picked up 4 gallons to hold us till we come back in September.